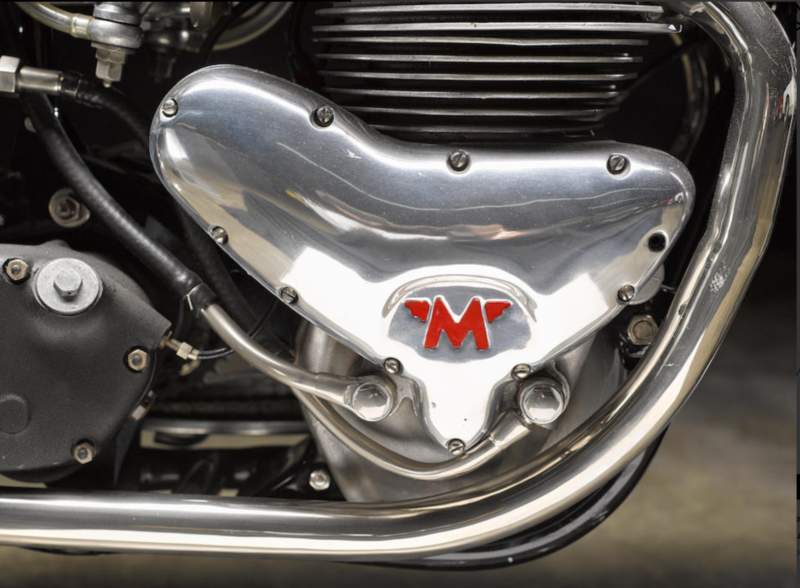 One of the oldest of British motorcycle manufacturers, Matchless pursued a vigorous competition policy in its early years, the founder’s son, Charlie Collier, winning the inaugural Isle of Man TT (single-cylinder) race of 1907 and repeating the feat in 1910, brother Harry having brought home the honors in 1909. 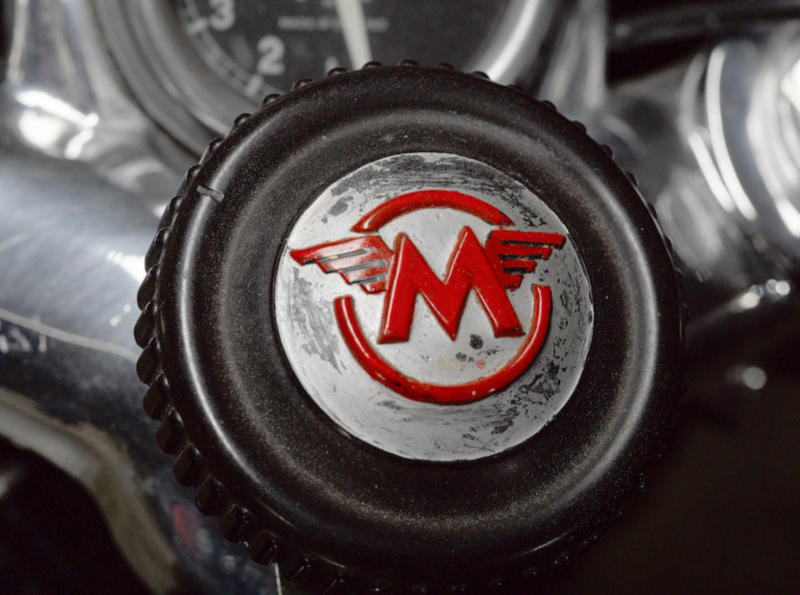 However, by the 1930s Matchless had ceased to be thought of as a racing brand and after WW2 the firm, by now reconstituted as Associated Motor Cycles having acquired AJS, chose the latter’s badge for its competition machines. 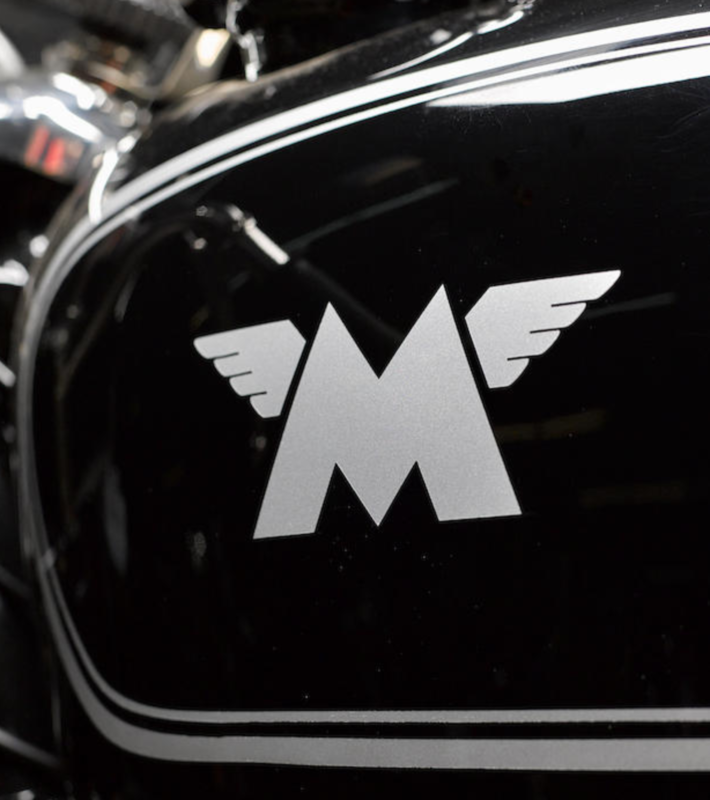 In this context the arrival of a new Matchless racing motorcycle in 1951 caused something of a stir. 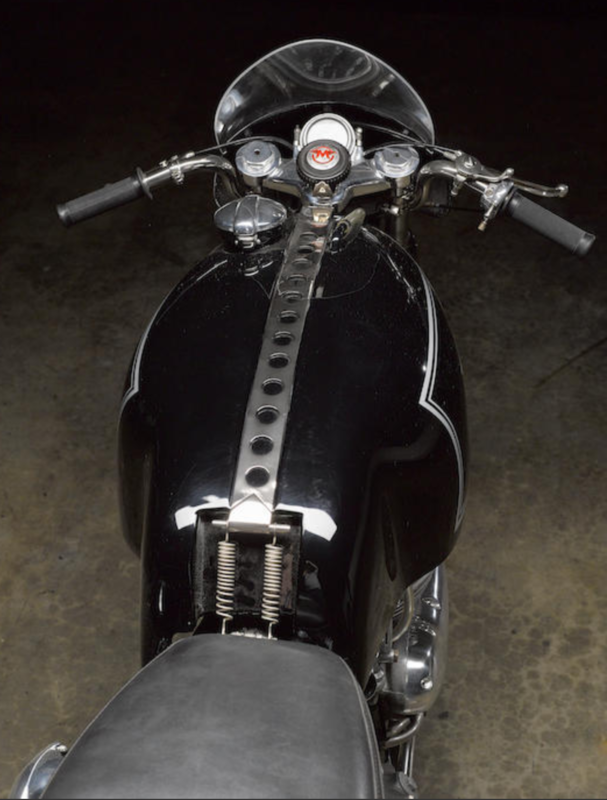 The prototype of what would become the G45 first appeared at the 1951 Manx Grand Prix with Robin Sherry aboard, eventually finishing 4th after a promising debut. 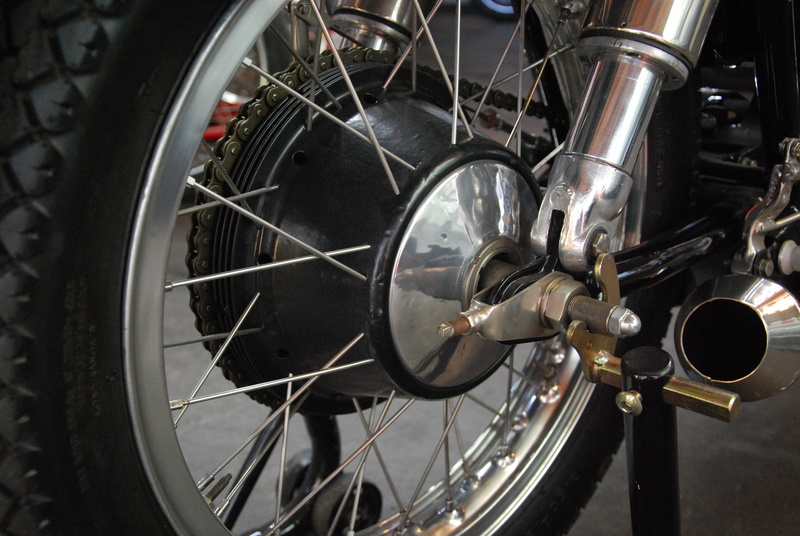 In fact, the machine was not an entirely new design but essentially a hybrid comprised of AJS 7R-based cycle parts into which was installed a tuned Matchless G9 roadster engine. 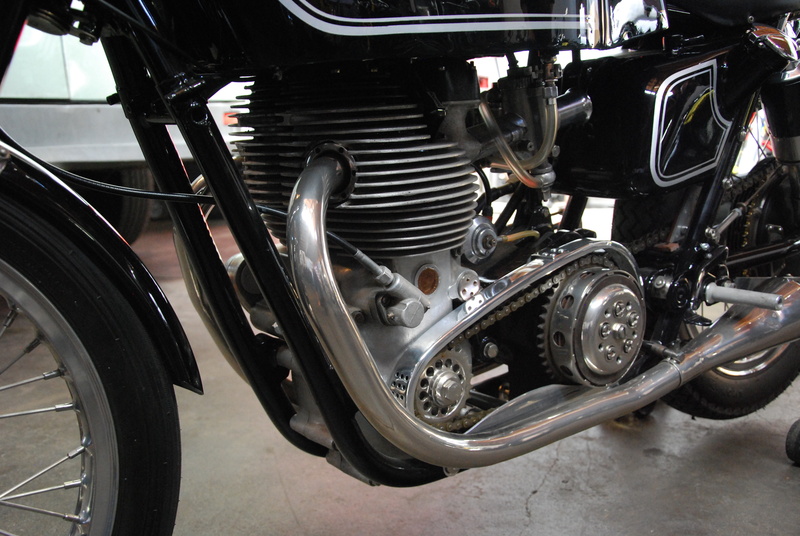 The engine’s bottom-end remained more-or-less stock G9 and retained AMC’s unique center-bearing crankshaft, but above the crankcase there was a new aluminum-alloy cylinder barrel and cylinder head, the latter sporting distinctively finned exhaust rocker boxes. 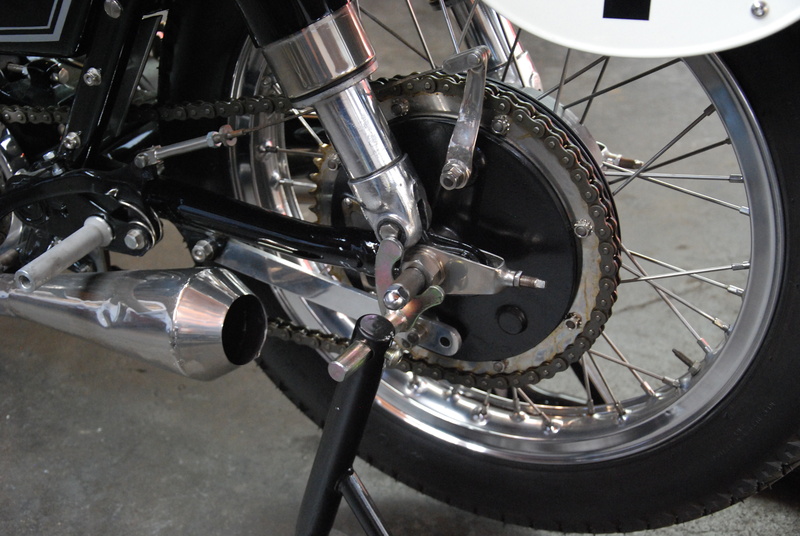 Fuel was fed by a single Amal TT carburetor and exhausted via a pair of short megaphones. 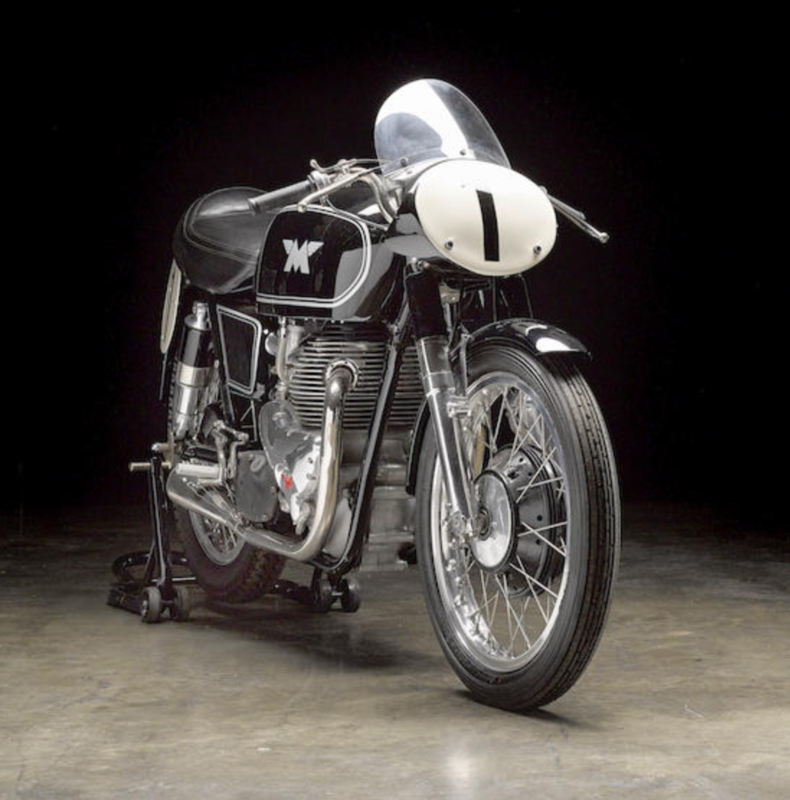 In 1952, the prototype G45 garnered much valuable publicity and not a little controversy when Derek Farrant – later an AJS works rider on both Porcupine and 7R3 – won the Senior Manx GP after leading from start to finish. 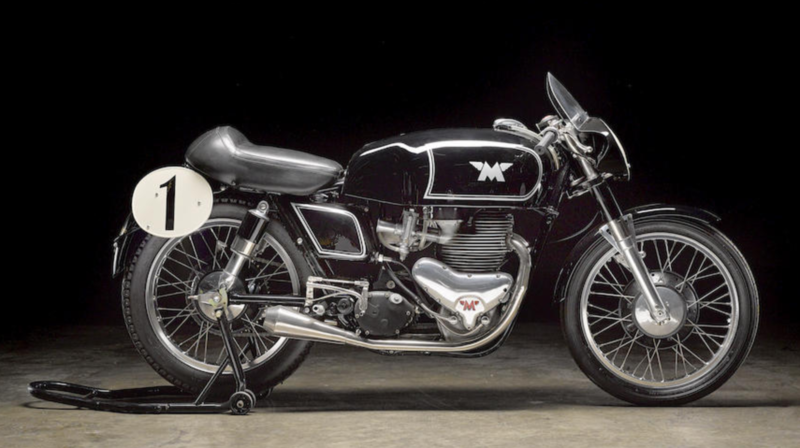 Strictly speaking, a works prototype had no business running in an event for amateurs riding over-the-counter machines, but AMC quickly announced that a production G45 would be available for 1953. 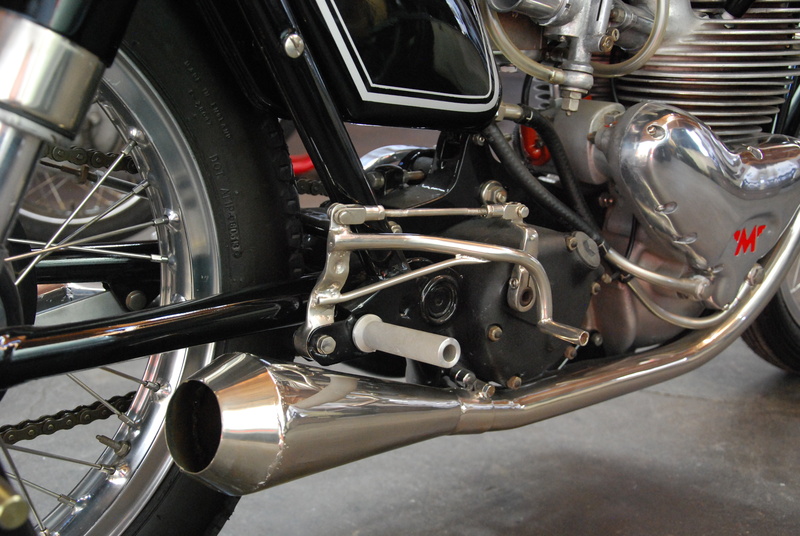 Although still based on that of the G9, the production version’s engine incorporated a different camshaft, which opened the valves via roller followers, and breathed via a pair of Amal GP carburetors mounted either side of a central float chamber. 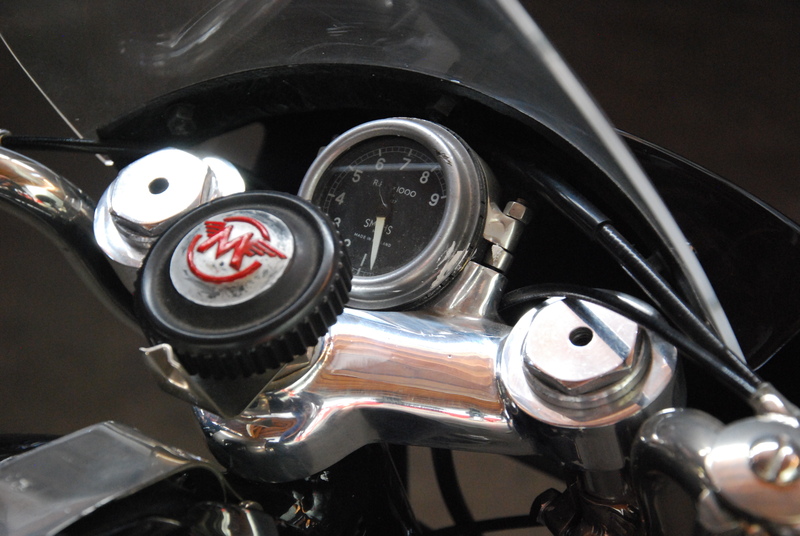 Claimed power output was 48bhp at 7,200rpm, increasing on later models to 54bhp at 7,400 revs. 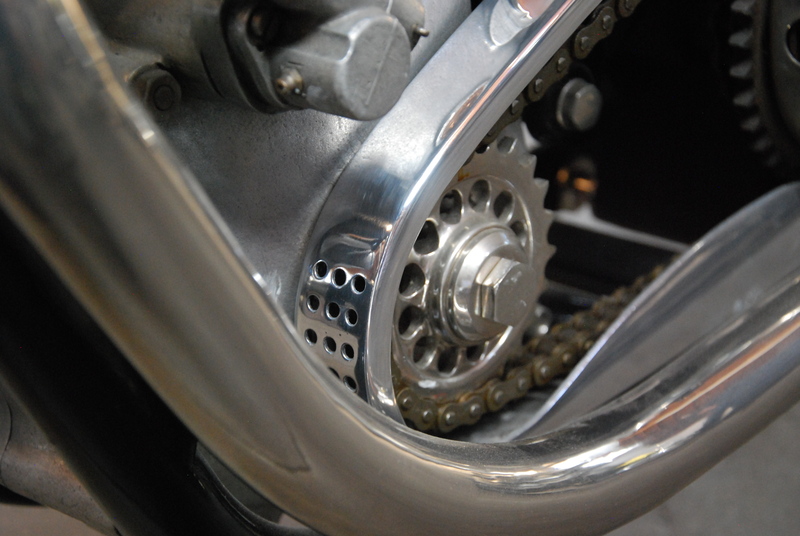 Apart from revised valve gear and the eventual adoption of a forged crankshaft, the G45 changed little over the course of its life and what developments there were did not keep pace with the opposition. 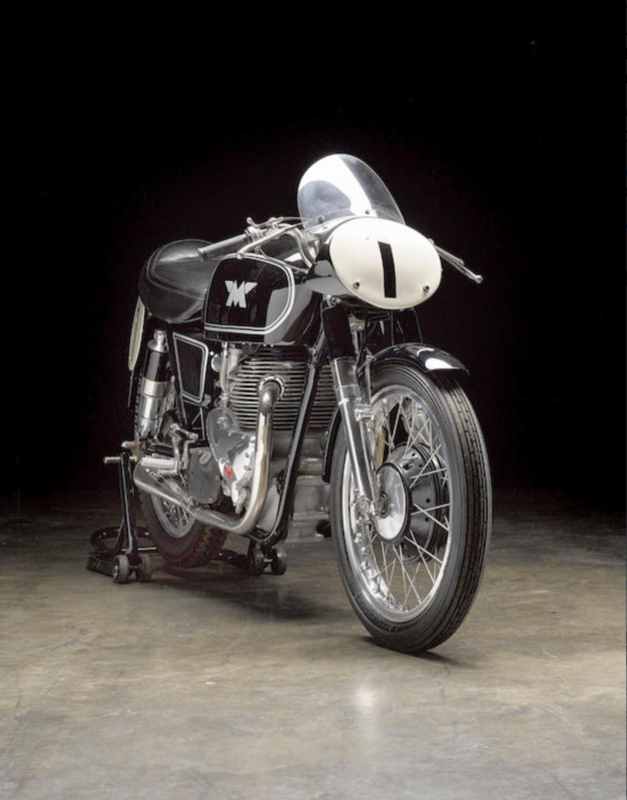 At the end of the 1954 season, AMC announced a cutback in its racing program, which meant the end for the Porcupine and the 7R3, though the G45 and 7R continued to be developed and raced. 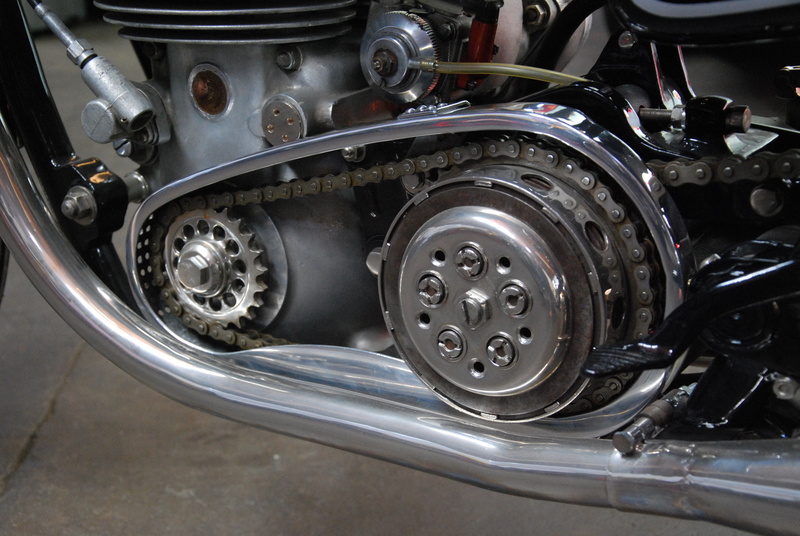 Production of the G45 ceased in 1957 after around 80 machines had been built, of which approximately half are believed to survive worldwide today. 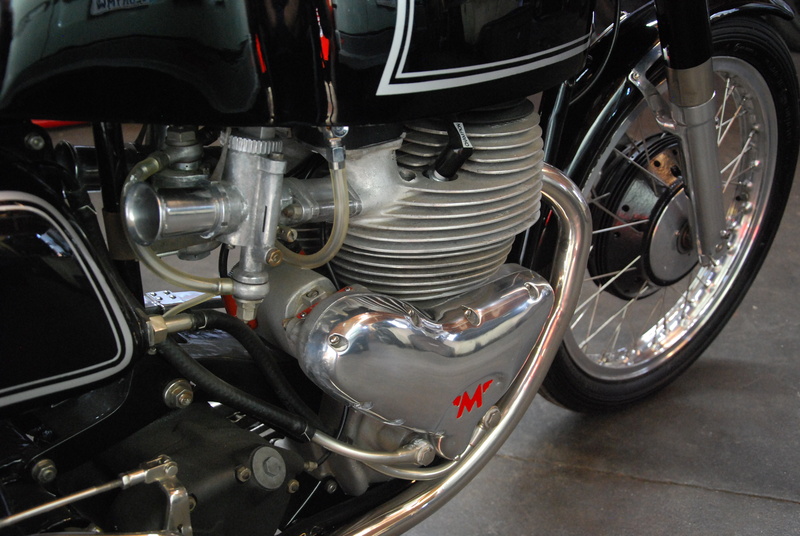 Before then, the works team’s G45 best result at international level had been Rod Coleman’s 2nd place in the 1954 Ulster Grand Prix. 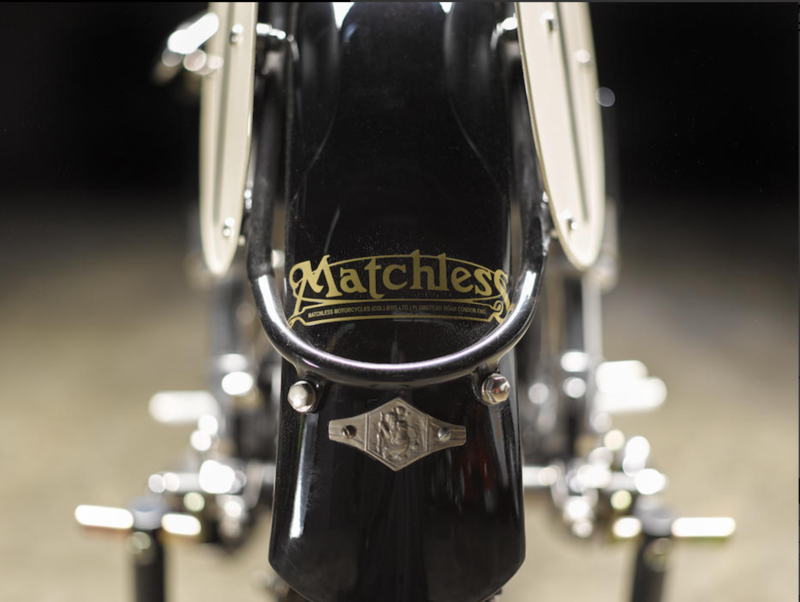 This rare Matchless G45 was commissioned in 1955 and went immediately to South Africa. 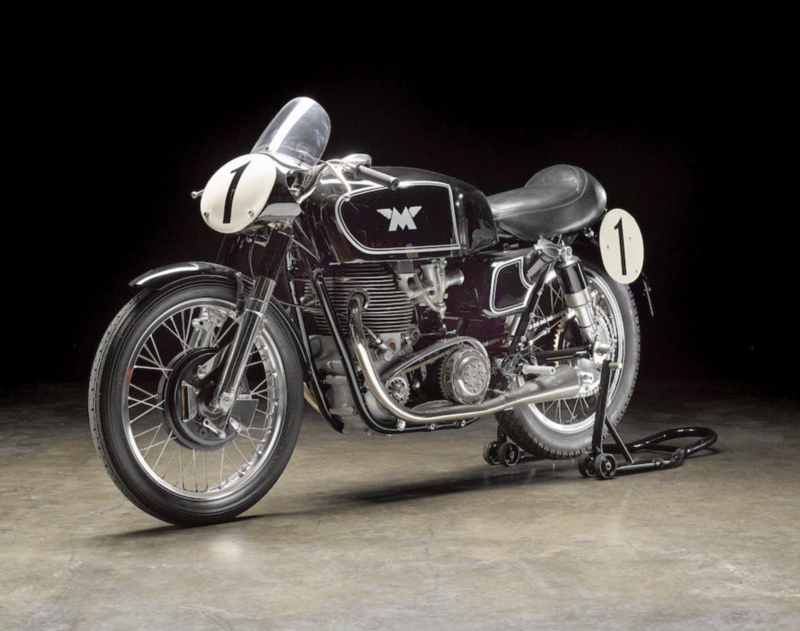 It is believed to be the bike that was extensively raced by one Borro ‘Beppe’ Castellani, a seven-time South African road racing champion (race # 80), over the winter of 1957 into 1958. 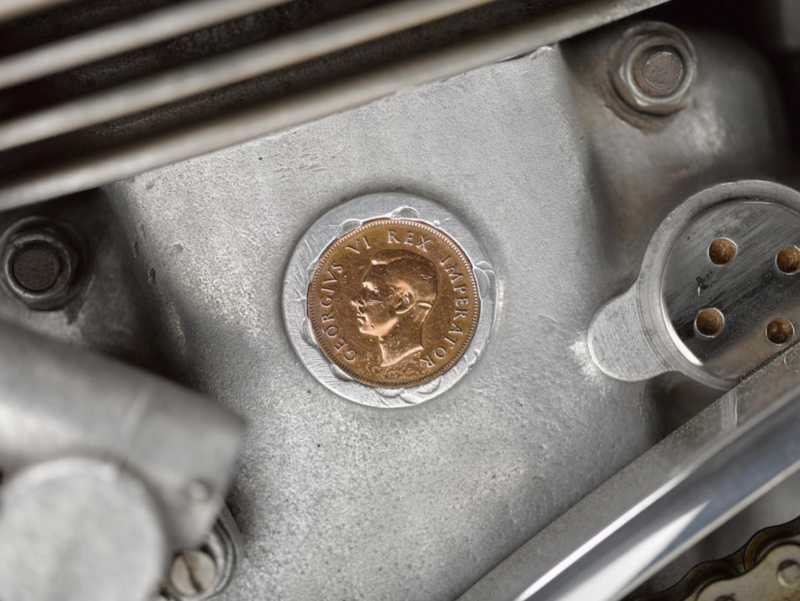 Beppe usually ‘marked’ his bikes and his G45 was no exception for it carries a South African coin – South African currency would then have been issued by the British government – ‘sweated’ in the crankcase just below the barrel. 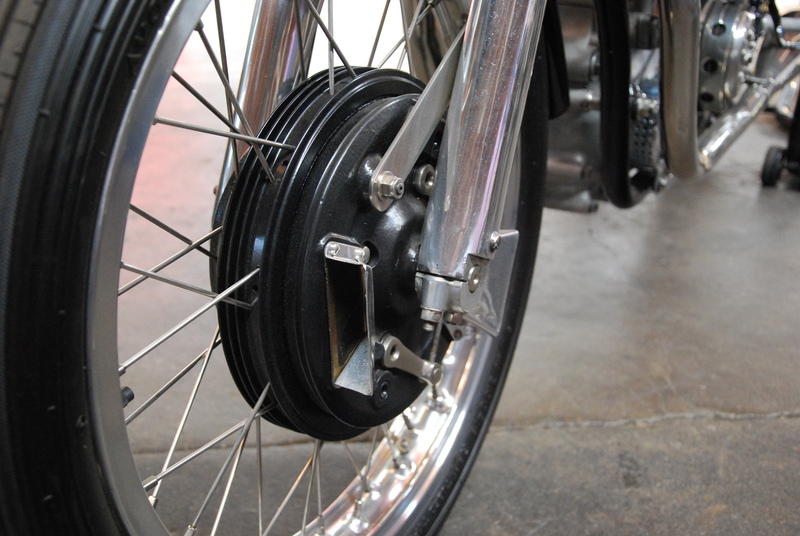 Archive material is hard to find but there is one image of Beppe off the deck on his G45. 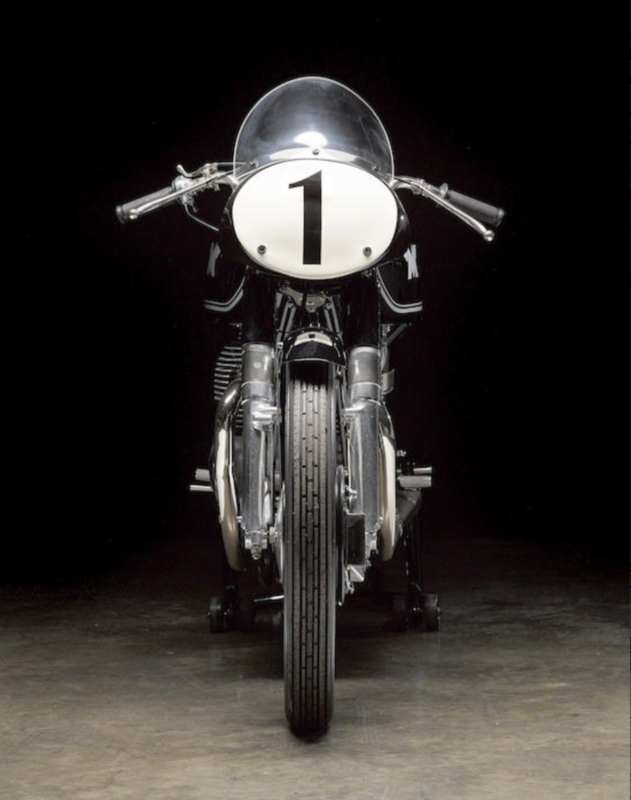 Jim Redman, six times world motorcycle champion mentions Beppe in his autobiography, ‘For the time being, the most important thing for me was to win the 1957 500cc Championship in South Africa but, unfortunately, I was beaten by Beppe Castellani, the current South African Champion, untouchable at the time. 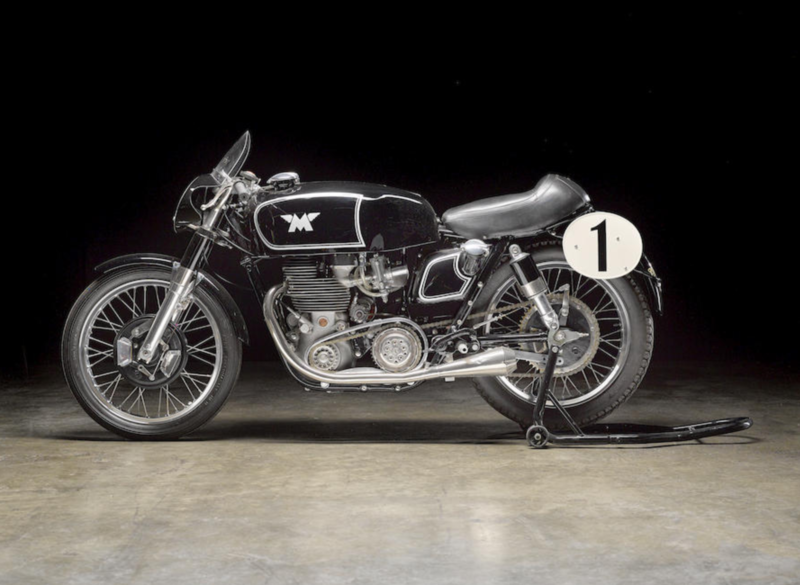 Little more is known of its story until very recently – although it is believed to have been raced further in historic or classic races – when it arrived in the USA, pretty much in original specification, and complete, and restoration was undertaken. And it was clearly done very well. 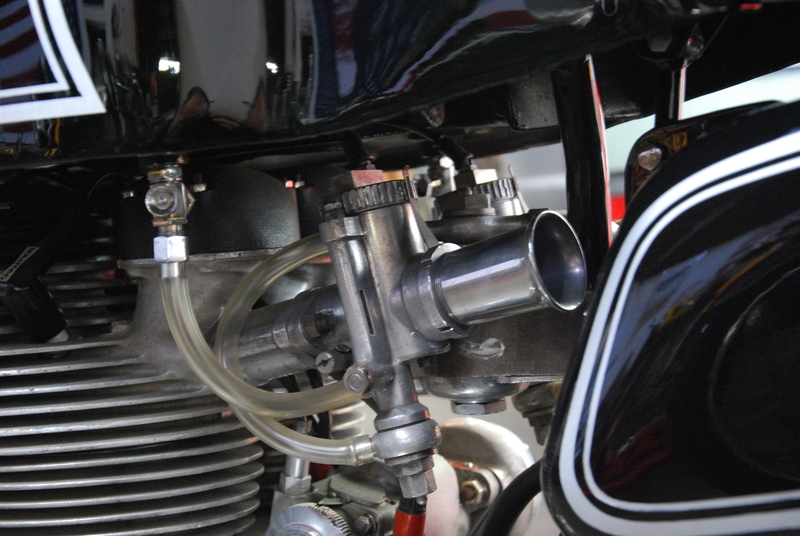 The engine has two Amal 930 Concentric carburetors for easy starting and smooth running; a Lucas competition magneto, SS cam, and an on/off tap and an oil filter in the return line. 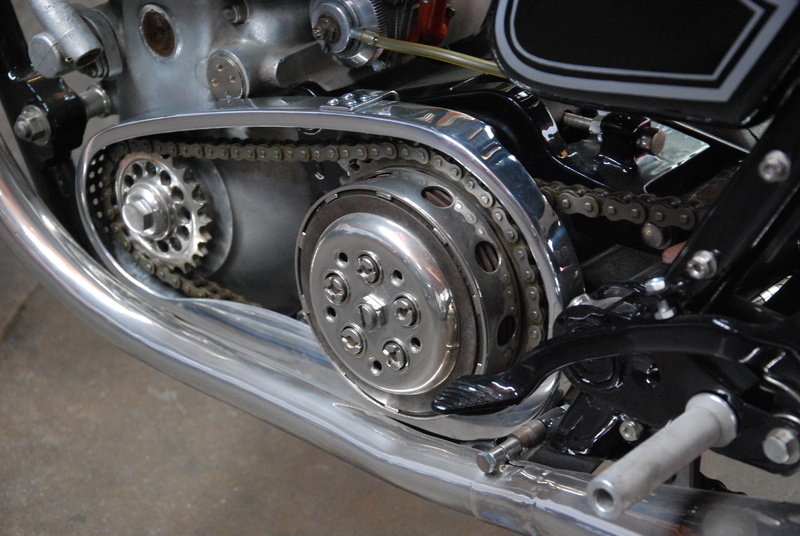 Also an AMC 4-speed gearbox with Newby dry clutch and chain primary drive. 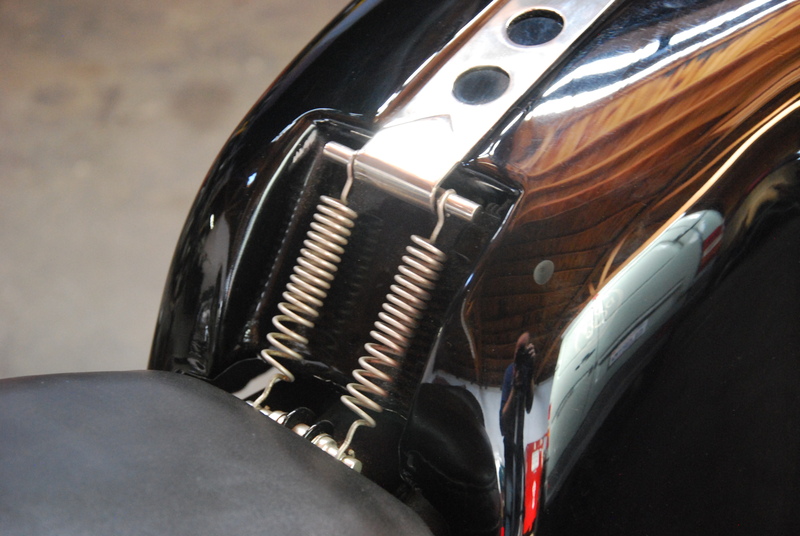 Inside are chrome hardened and machined rocker shafts. 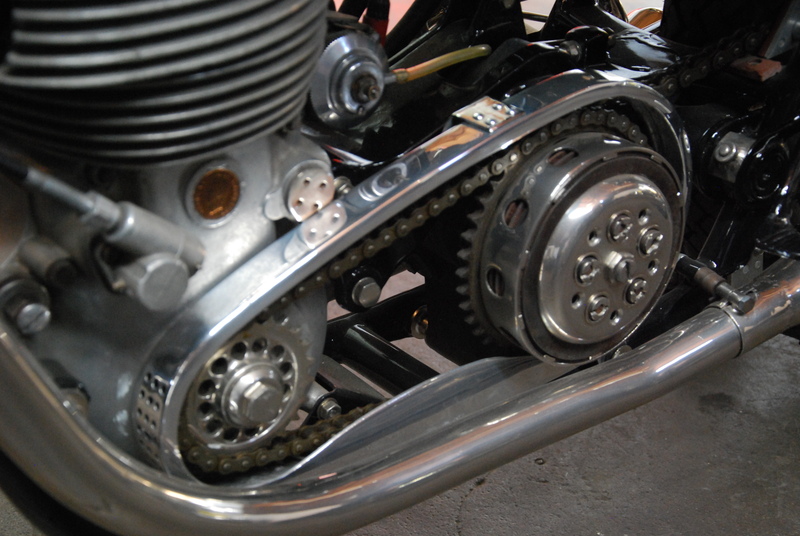 The Norton Featherbed-style frame has been improved which together with a front fork stabilizer and Akront alloy rims, with stainless spokes, help handling and stability. 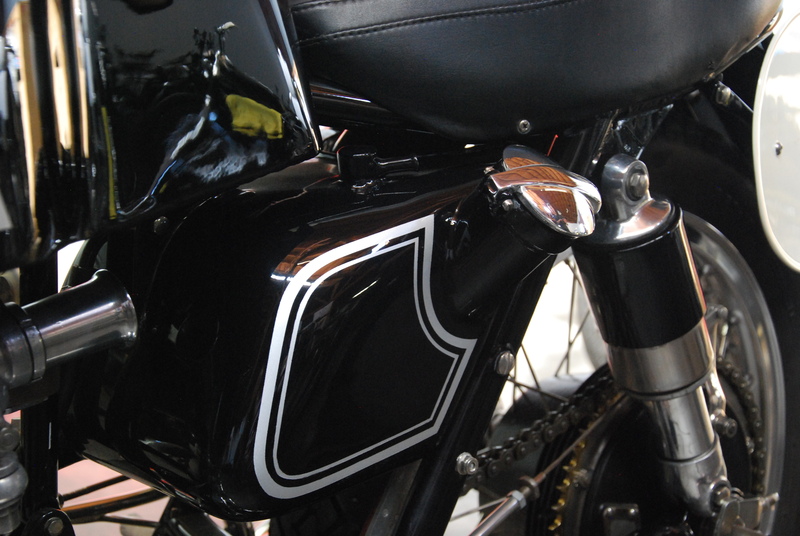 An aluminum, partitioned, Manx-style fuel tank tops off the bike. 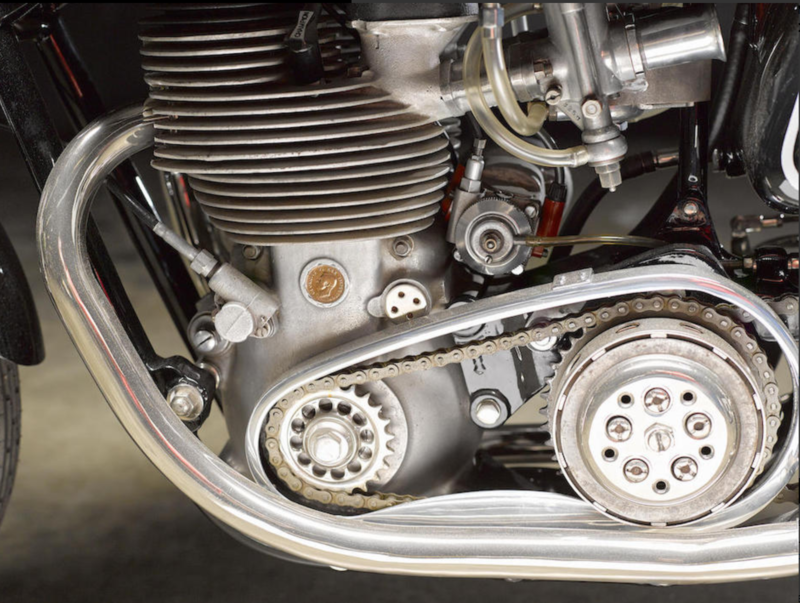 Here is a unique opportunity to acquire a rare British road racing twin in exceptional condition which after the usual safety checks and race preparation should start and run with gusto. 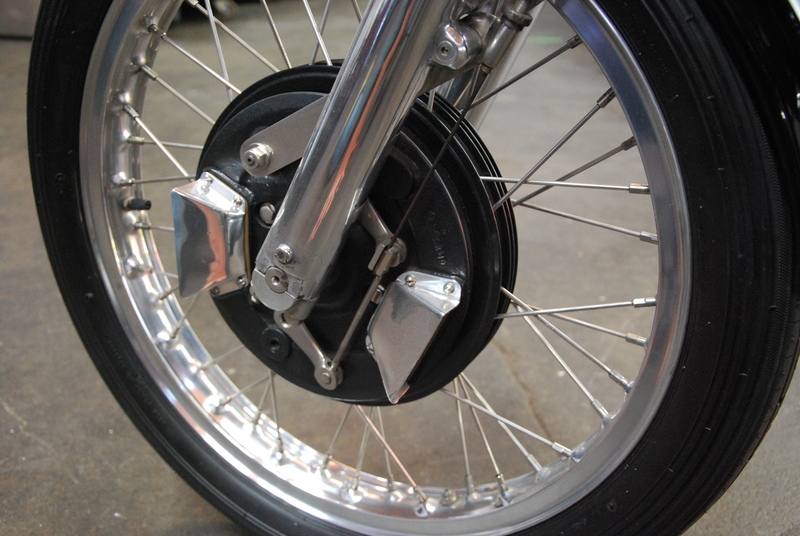 Sold on a Bill of Sale.